This Week in Technology Monday 11/5 Hackers Extracted and Published Facebook Private Messages Grabbed Through Bad Browser Plug-ins The hackers originally published an offer in September for personal information related to 120 million Facebook accounts on a English-language forum. This included a sample of data that the BBC had an expert examine, confirming that over 81,000 profiles’ private messages were included. An additional 176,000 accounts had data that could have been scraped from public Face... read more. Tuesday 10/30 Because of malware, adware when downloading Google Chrome through Microsoft Edge An investigation by How To Geek revealed that the fake website is actually marked as a “deceptive site” by Google Chrome, but it is not flagged as such by Microsoft Edge and Bing. The Bing search query was reproduced on some systems, not all, but it was only appearing on Microsoft Edge. http://bit.ly/2EOTBoU Nutanix Launches a New Channel Charter to Empower their Partners with Next-generation Techn... read more. December 5, 2016 Chad Sakac, head of Dell EMC’s Converged Platforms Division, is laying out a strategy for how the company will play in the storage and server market to take advantage of what the company estimates to be an $85 billion opportunity. Microsoft Ventures, Microsoft’s venture-funding group, has been adding more companies to its investment portfolio over the last couple of months. Splunk helps FamilySearch gain agility in the cloud. December 6, 2016 Check Point has long been known... read more. November 21, 2016 NetApp CEO George Kurian discusses the cloud, hyper-converged infrastructure, and a very successful fiscal quarter. Symantec will acquire U.S. identity theft protection services company, LifeLock, for $2.3 billion, in a deal that it hopes will prop up sales at its Norton cybersecurity unit. Dell EMC announced availability of a new Dell EMC NetWorker with CloudBoost solution for added protection of enterprise applications running on Amazon Web Services (AWS) as well as the extension of t... read more. November 28, 2016 A mystery bug prevented Outlook.com users from accessing or syncing their accounts from apps and smartphones, but Microsoft says it’s found a fix. AppSense has been selected as Citrix Ready Partner of the Month from more than 1,000 Citrix Ready Independent Software Vendors. 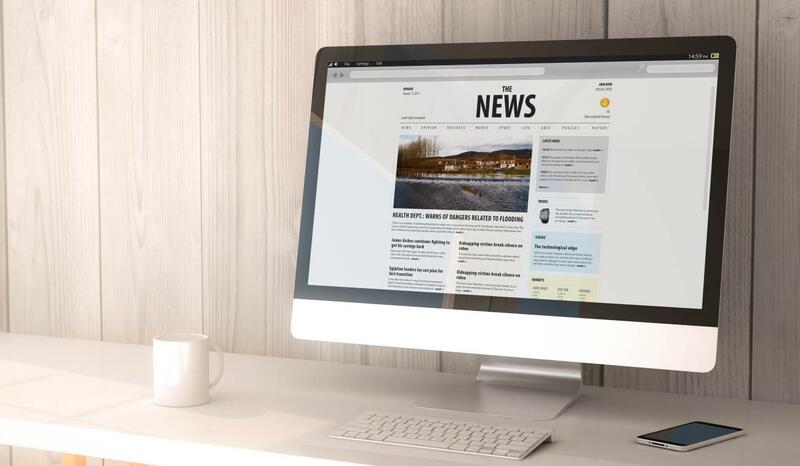 IGEL Technology, a world leader in the delivery of powerful workspace management software, IGEL Linux-powered thin clients, zero clients, and all-in-one thin client solutions, announced that CRN has recognized... read more. November 14, 2016 Illumio just released Illumio Security Templates, offering ready-to-use security policies for core data center and cloud applications. They are pre-made to secure common applications, providing segmentation without having to reconfigure the network. Intel Security is working with a select group of customers on developing systems to enable human-machine teaming to get the best of both worlds in applying cyber threat intelligence. Distributor Westcon-Comstor is expanding its relationship... read more. November 7, 2016 The Internet of Things will be at the center of enterprise security and infrastructure readiness for the next several years, a panel of security experts said at Intel Security’s Focus 16 in Las Vegas. Microsoft is adding Microsoft Access to the list of what’s offered in it Office 365 Business and Business Premium plans. Citrix announced that it has been named as a leader in the IDC MarketScape: Worldwide Virtual Client Computing Software 2016 Vendor Assessment. The IDC Market... read more. October 31, 2016 At Dell EMC World 2016, Dell announced it enabled interoperability of Dell Data Protection Endpoint Security Suite Enterprise (DDP | ESSE), which provides data encryption and threat detection, with Mozy by Dell, which provides cloud-based data backup and recovery. Akamai announced that it has acquired Soha Systems in an all-cash deal. Soha provides enterprise secure access as a service. Illumio announced that Goldman Sachs has recognized Illumio CEO and Co-Founder Andrew Rubin as one of... read more. October 24, 2016 As Dell Technologies positions itself to be the one-stop-shop for the entire IT stack, the Asia Pacific and Japan region is jumping on board to modernize IT, with cost saving the driving factor. A coordinated botnet attack effectively choked internet access to a large number of popular sites last week, and the attack itself was made possible in large part due to the spread of connected Internet of Things (IoT) devices. Microsoft is warning Windows users over a fake Microsoft security pro... read more. October 17, 2016 Dell is adding systems integrators to its IoT Solutions Partner Program, aiming to reach a broader range of vertical industries. The IoT Solutions Partner Program, which currently includes ISVs and is made up of three tiers, Premier, Preferred and Registered, will now include systems integrators such as Datatrend Technologies, L&T Technology Services, Action Point, and Mobiliya. Malwarebytes, the cybersecurity research firm, is changing its internal definition of potentially unwanted... read more.